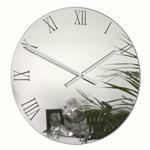 We have just launched a new version of our very popular mirror wall clock, the Black Roman Wall Mirror Clock. 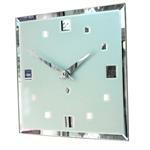 Many customers expressed an interest in having a mirror clock with digits and hands that are more visible. 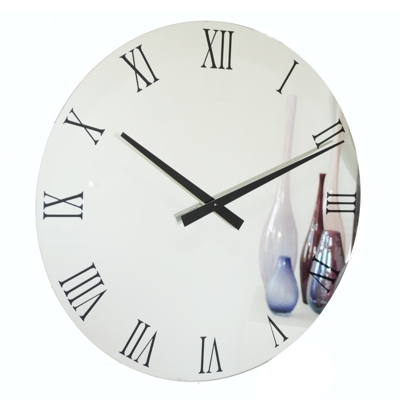 This wall clock features a mirror with black in filled Roman numerals which look very effective as they seem to be floating within the mirror, black satin finished hands and a Hi Torque German Quartz clock movement. 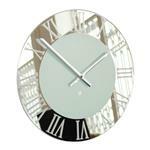 This is a fantastic clock with a classic, yet subtle design that is certainly going to be extremely popular. 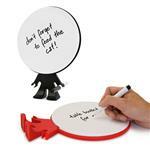 It is available in four sizes: 34cm, 45cm, 56cm, and 85cm diameter on separate listing. I found the product to be superb quality and I would certainly recommend it. 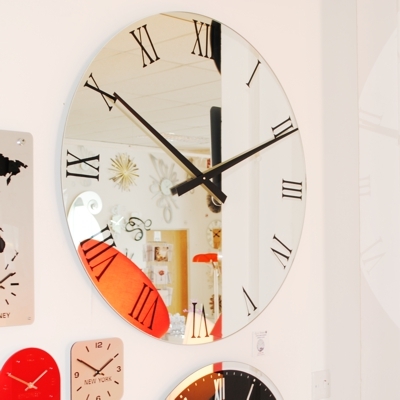 I absolutely love my mirrored clock. I haven't put it up yet but I can see from the quality it will look amazing. Received this stunning 56 clock 4 weeks ago but did not get round to checking or putting this up till this weekend as only just completed renovations. Was so looking forward to seeing this timepiece up after the positive reviews but was disappointed as after 30 mins the clock stopped. Changed the battery and again it stopped after 30 mins and no movement since. Have contacted CH to see how they plan to resolve this. So disappointed. Will update review once I hear back from CH. We collected the clock and replaced, unfortunately the mechanism was failing and this does happen although it is very rare. Sorry for the inconvenience caused. 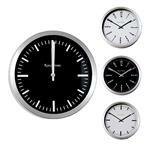 We have the 56cm for living room very modern and excellent quality. I bought the 45cm clock and it's great - good quality, no ticking sound and was delivered quickly in very padded packaging. Would recommend. I decided to buy the 56cm because I was looking for something different to make a statement on my lounge wall. 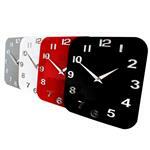 It dose just that, this clock is big, different and beautiful and excactly what I was after. My only grip is that it doesn't sit flush to the wall due to the battery box protruding more then the MDF frame at the back which courses it to rock a little. Overall a very happy customer. 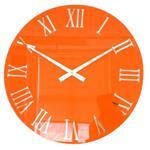 We love this clock.. It was packaged and delivered well. The clock looks like a show piece. It is stunning! Very pleased with this clock. I think it's a bit pricey but it's a real feature to give light and reflection making a room look larger, yet in a cosy fashion. 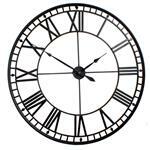 Have the 45cm with more subtle hands and roman numerals in our small hallway and it has the same effect. 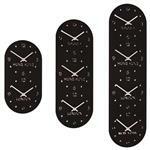 Not sure which option I prefer, the black is more obvious as a clock but I do like the subtlety of the other. 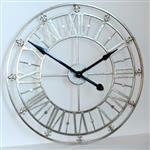 Lovely clock, worth the money. It's looks brilliant in my living room. 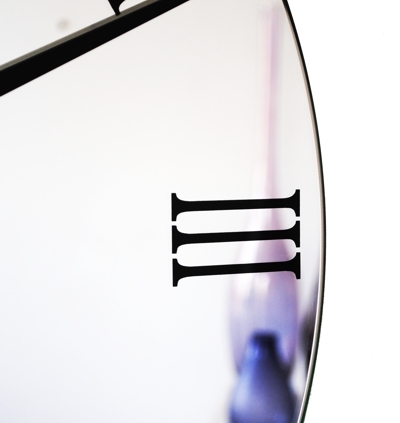 Ordered the 34cm one. Liked it so much have just ordered the 56cm! 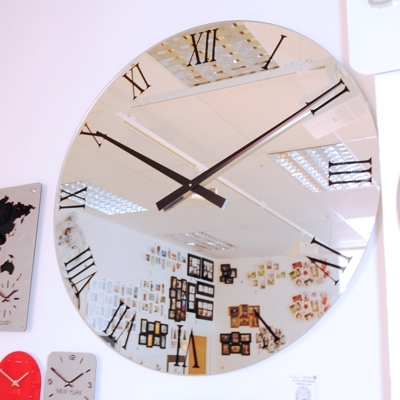 Bought this clock mirror for my hallway. looks good and is also of good quality. 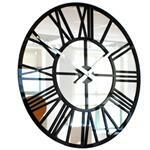 bought 56cm clock for the kitchen. Looks great and keeps good time. Would love the large one for the hall. 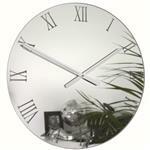 I purchased this for work in Reception and it looks super classy and also doubles up as a mirror!